Nourish Organic just launched the Deeply Nourishing Collection with Coconut & Argan Oil, including a creamy, gentle Organic Body Wash and a deeply replenishing Organic Body Lotion. Moroccan Argan Oil, packed with restorative omega fatty acids, intensely hydrates and replenishes skin, while Coconut Milk soothes skin and locks in moisture. Other healthy-skin ingredients include Aloe (instead of water), Vitamin E, and Rice Protein. 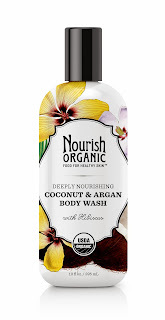 The Deeply Nourishing Collection is available at Target stores and online at target.com. 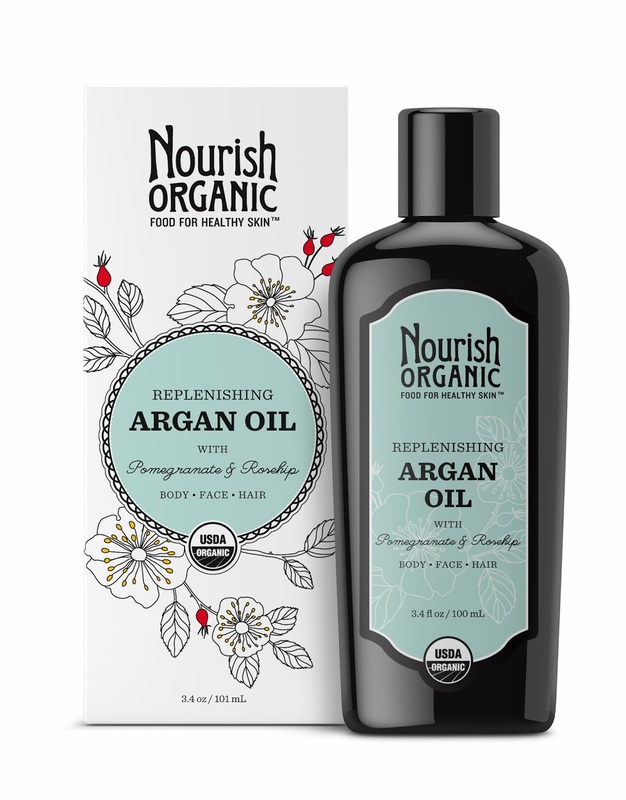 Nourish Organic has also just launched Replenishing Argan Oil with Pomegranate and Rosehip. This multi-purpose hydrator for the body, face and hair can be used as an all-over body moisturizer, massage oil and hand and cuticle repair treatment. It softens dry skin, reduces the appearance of fine lines, softens cuticles and treats split ends. Replenishing Argan Oil is currently available at Whole Foods Market. You can find all Nourish Organic products at nourishorganic.com. You'll notice on their website that they have also launched a new ultra-hydrating organic facial line including a face cleanser, face serum, face lotion and face cream made with Moroccan Argan Oil, Rosewater and Pomegranate. Check it out here. 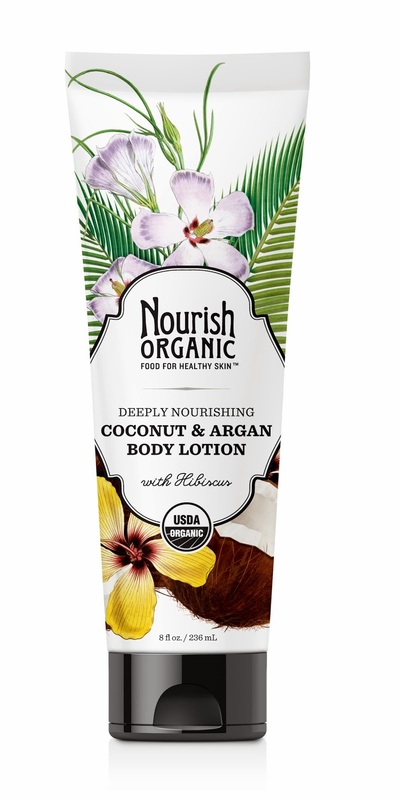 Nourish Organic relies solely on 100% USDA certified organic fruits, vegetables and plant extracts. Their clean, healthy and eco-friendly products are held to the same strict standards as organic food.